There are a lot of animals out there that are really cute, funny and lovable. There are also some very special animals and insects that have talents far beyond their physical appearance. Some that can help the earths depleting resources and others that are just plain fascinating. So here are 5 animals with some very extraordinary talents. Termites have always been known as a pest that can destroy your nice new wooden, dining table or ruin the infrastructure of a sofa. Well, all of this has led to scientists discovering that termites little habit can produce hydrogen and a lot of it. 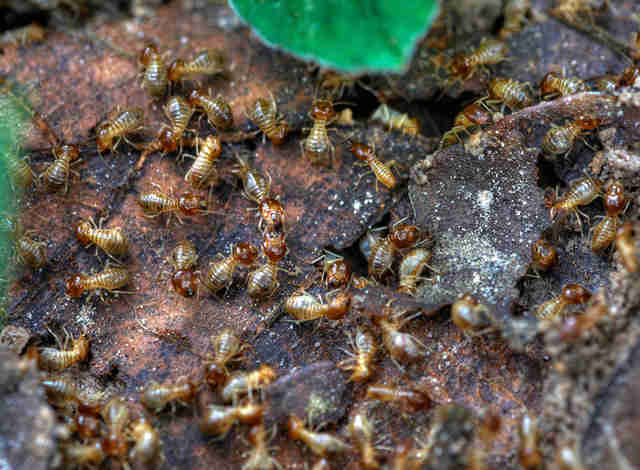 The little insects can produce 10 liters of hydrogen from ingesting only one gram of wood or paper. There are big ideas for hydrogen as it is a fuel that can have massive positives and negatives for the world. One gram can power a house for a year, but at the moment hydrogen is not a green option and it needs more energy to produce hydrogen than the amount you will get. That's where termites come in and this could be a huge discovery in environmental and scientific progression. 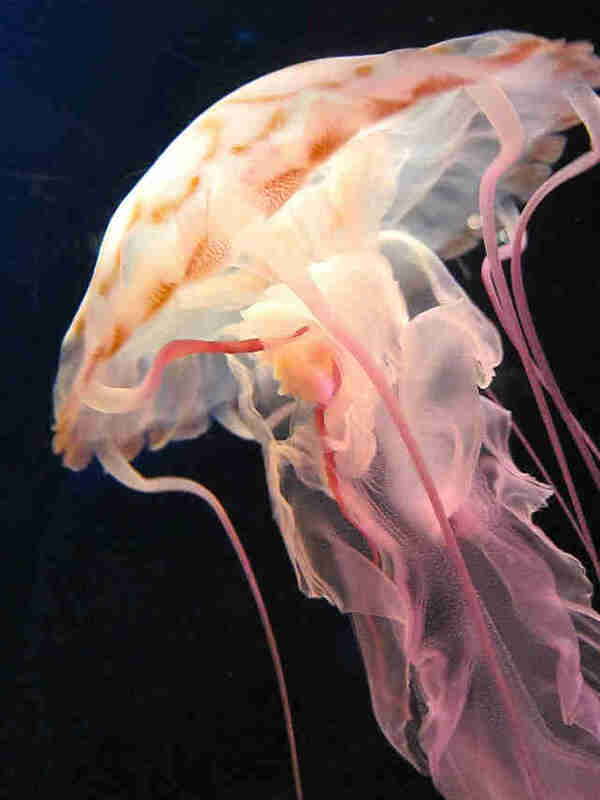 There is a jellyfish out there that could technically live forever, making a creature on this earth immortal. The jellyfish that has been making headlines is the Turritopsis Nutricula and it is increasing the jellyfish population throughout the world. The way they do it is when they reach sexual maturity and mate they can then return back to their juvenile state. This crazy news means that this jellyfish population will sky rocket, because scientists do not know if there's a limit on how many times they can propagate. Other jellyfish die after propagating so this really shows you how cool Turritopsis Nutricula is. Can you believe it - the first ever immortal animal, yikes! Is it an octopus or ... ? In the sea roams the mimic octopus that can shapeshift into 15 other sea creatures. This special ability allows it to change into other predators in order to protect itself or even change to creatures that aren't preyed upon. Octopuses have always been known for their ability to camouflage themselves but this one combines both and fools even the smartest of sea animals. It is known as the "actor of the sea" and has perplexed scientists because of its unusual behavior. 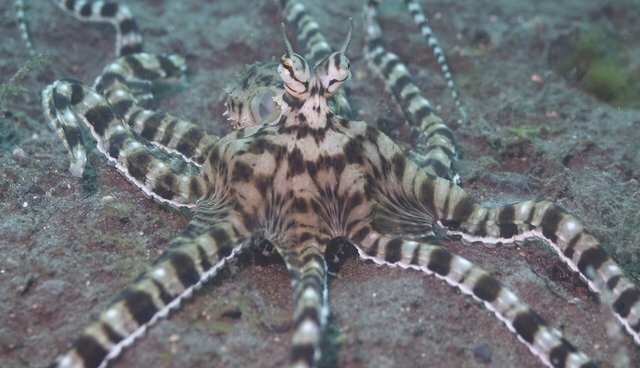 The mimic octopus is not the first animal to change appearances to fool other animals but it is the first to mimic multiple creatures which is an amazing talent to have. They call this animal the common basilisk but it seems to have one extraordinary talent, it can walk on water. Well run really, but when you see this creature in motion it truly is amazing. When threatened by a predator the "Jesus Lizard" as it is commonly referred can gain momentum enough to skim across the water, perplexing the predator and making a swift escape. Basilisks have large hind feet with one side of toes which are enlarged due to a row of larger scales. These do not come into use while on land, but when needed to cross water they are pushed up and the water area is enlarged. The younger basilisk's can run further than the older ones, about 10 to 20 meters (approx. 33 to 66 feet), which is incredible and really interesting to watch. The pistol shrimp may look like any other shrimp, but it is in fact a scary animal to come up against. The pistol shrimp is small yes, but they have a claw that they snap together which then produces a cavitation bubble that can shock or kill its prey. The bubble can travel up to 60 miles per hour and create a sound that reaches 218 decibel (decibels needed to burst a human eardrum are 160) so this little creature can really pack a punch. While the bubble collapses the pressure and temperature of the vapor increases to insane amounts, the heat produced is around 4,700 degrees Celsius (the sun's surface is 5,500 Celsius)! It doesn't melt everything, but if you are in the line of fire you probably aren't going to survive. This shrimp is quite adaptable as well; if their claw gets cut off it can use its smaller claw until the main claw regrows. This shrimp shouldn't be called pistol shrimp it should be called super shrimp! By Fay Partridge Fay Partridge is an Online Journalism Intern at Frontier, an international non-profit volunteering NGO. Frontier has over 300 dedicated conservation and community development projects as well as plenty of inspiring www.frontier.ac.uk/Volunteer/Volunteer.aspx?utm_source=TheDodo&utm_medium=gapyearblog&utm_campaign=BlogArticle">gap year ideas to help make your time out meaningful. For more information on all the opportunities available please visit www.frontier.ac.uk. Check out Frontier's blog "Into the Wild" where you can read more articles like this! Happy reading!